Greetings psychological thriller fans! We are extremely excited to announce that Heavy Rain will be available to play on PlayStation Move motion peripherals starting on September 22nd. 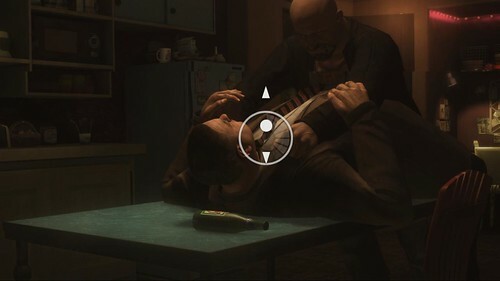 Utilizing the extreme precision of the PlayStation Move motion controller (as well as the PlayStation Move navigation controller and the PlayStation Eye camera), players can become completely immersed in the search for the Origami Killer through controls that mimic real-world motions. For those of you who already have a copy of Heavy Rain, we will be releasing the Heavy Rain Move patch on Wednesday, September 22, 2010. Just boot up Heavy Rain (assuming you also have an internet connection) and it will automatically download to your PS3. 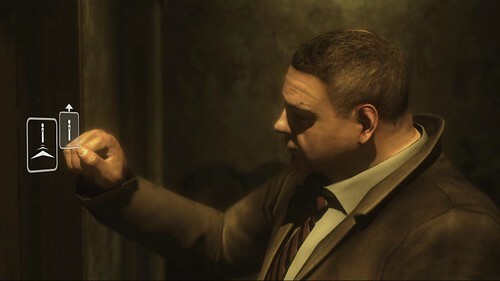 This FREE patch will allow current owners of Heavy Rain to play the game with the new PlayStation Move controls and experience a whole new way of playing Heavy Rain. In addition, we will be releasing the Heavy Rain Move demo on the PlayStation Store during the following week on Tuesday, September 28, 2010. This is a completely FREE standalone demo that features two of the early levels from the game, Sleazy Place and Crime Scene, and is fully playable with the PlayStation Move (note: you will need the motion controller, the navigation controller, and the PlayStation Eye camera). Heavy Rain has been given a PlayStation Move makeover so expect to be drawn into the action more than ever. Now, your every move will make a difference! Enjoy playing Heavy Rain again with the PlayStation Move, or for the first time! Hunh. That’s actually kinda cool. Will the Move patch add new trophies? Sweet! Can’t wait to replay the game with the Move! David Cage spoke last week it was reported that “Heavy Rain: Move Edition” will contain about 45 minutes of new content. Will this patch give original players of the game the same content, or just new Move controls? ONLY the Navigation controller? Can one use the DualShock 3 to do the same functions? We’ve been told that’s how it works. Are they just saying that the game cannot be played SOLELY with the Move and you need the second controller? You can use the DualShock 3 or the navigation controller. We recommend the navigation controller as it has been designed for easier use with a single hand (as you will be using the motion controller in your other hand). Great to hear, but can’t you just use a Sixaxis instead of the Nav controller? What about the extra content thats coming to the Move Edition of the game? Will that be patched into the older versions of Heavy Rain or is that exclusive only to that version? So are we (PS eye owners) going to get a bundle too? Or are we going to be left out for adopting the PS eye early? Another great game for the PS Move. I have Heavy Rain at home and I held off playing it until the PS Move because i heard it was better then using the controller. What a busy time for games this fall. Please tell me that #5 is right… Even on the Navigation product page it says we can use the DualShock 3. I found it odd that PS+ DLC was free to keep, but now it’s not, and at first we were told a PSN game plus a PS1 classic plus two Minis, and now that’s changed too, but I let it roll off my back. But if you are now are telling us that we can’t just use a DualShock 3, but require the Navigation controller, I am done. See my comments to #5. Looking forward this game with Move! The new European Move edition of Heavy Rain is coming out in early October with a bunch of extra stuff on the disk (see the list below). I hope SECA will announce the USA edition soon. 4. Behind the scene documentaries. I have been trying out PS Move at the retailer where I work, and have had some thorough play throughs with friends over the past 3 days and it’s an impressive controller. Both the body tracking and accuracy are great, but sports are just not my games of choice, (We’re only displaying the Sports Champion bundle). Heavy Rain was an AWESOME game. From my view of the world, storyline is CRUCIAL; and the “choose-your-own-fate” storytelling has never been done this good. Sept 22, on go my 3D glasses and my move controller will be lighting up for a new immersive Heavy Rain experience. @10 i already own the eye also – i checked out gamestop and they pay 10$ for a used eye – so im buying the bundle and selling my eye – sounds silly and all – but this way i pay the same price as if i only got the controller and game. plus now get the demo disc. Thank you guys for bringing this patch sooner then most had thought! Playstation Move = day 1 for me this week. I think I speak for most of Heavy Rain’s fan base when I say we’d much rather have had the Heavy Rain DLC Episodes than this. been waiting to play this game with Move ever since it was announcecd. Will definitely be buying the Move edition come the 22nd. I wonder if the move will be compatible with the new Harry Potter Deathly hollows game. Does anyone know if it will be? @creid8 Agreed. But, I’m going to roll with the punches. What else can we do? I feel Sony wasted Quantic Dream’s time with adding Move support. Would have preferred more DLC. Oh dear god yes it’s a patch. THANKS ALOT!@!!!!!! I THOUGHT I’D BE REBUYING THIS. DLC, this game needs some beefier DLC. Taxidermist was too short. As someone who Platinum-ed the game, I will need new Chronicles to play it again. the extra content is just 45 min of behind the scenes video not game play. Wait a minute…Nav Controller now a requirement? I thought the sixaxis/dualshock 3 could substitute the Nav in all instances. Why not in Heavy Rain? 2nd playthrough will be amazing now! I got the platinum trophy on Heavy Rain, taking a long route to get it. (Ended up doing 4 or 5 playthroughs!) I found the characters so interesting, so I’ll be happily playing it again with this Move patch. It will be cool to see extra content, especially if it closes up some of the rough edges in the already fantastic story. That being said, I would have preferred another prequel episode like The Taxidermist. Specifically, I would like to have played Norman Jadyn more and learned about his origins. I hope the Move edition of the game sells well enough to get another episode or two produced. I am quite happy I decided to pre-order the nav controller as well as the bundle+another move controller. I have yet to play Heavy Rain, so this is good news indeed. I hope you’re going to push the update to Plus owners rather than force us to sit through another arduous update. WHERE ARE THE DLCs?!! Like the Taxidermist etc.?!! The Taxidermist episode was better than any of the normal campaign mode. Just because they added Move support doesnt mean you;re not going to get another DLC episode. Heck they probably spent an enormous amount of time on the new content they were planning already, seeing as how the Taxidermist was the same demo they’d been showing for a year before the game was even released. Once this is out the way, will we see more DLC for Heavy Rain like the Taxidermist DLC? Thanks for the answer, Mr. Dong! I was kinda worried. I notice you didn’t answer #5’s question regarding the extra 45min. Of move content, does this mean that those of us who already own it won’t get it? Or will we have to pay for it? I can’t believe the rest of you guys here keep repeating the same stupid question regarding the nave control, God learn to read! The 45 minutes of extra content is way more important. Sweet! I’m glad its this close to the Move launch, I’m excited to play through it again! I guess this also means that the studio can get back to working on the DLC, which is also good news. Question here, will the patch make it so the ONLY way you can play Heavy Rain is with Move, or will there be an option if you want to play with move controls or the original dualshock controls? will there be a price drop on the move edition? Also, can we freely switch between the two? Ok, so the Nav is not obligatory. Good to know Sony or developers aren’t making what would be a nonsensical mistake. We asked the question before he answered #5, didn’t you think about that one, genius? Question regarding the Move, I hope you can shed some light on this. Me and my cousin are both getting Move on day 1, and we plan on setting up both our ps3’s and two tv’s in one room to play side by side. Will this be a problem for the playstation eye if it happens to detect one anothers Move wands, or will it only track the wand that is synced to that PS3? Thanks in advance if you can provide any details on this. Nice to see Move implemented in this stellar game, however, I also would have liked to see at least one more DLC content to be released other than the taxidermist. Awesome. I already own the game, so this’ll be fun to try out with my motion controller. Thanks SONY!